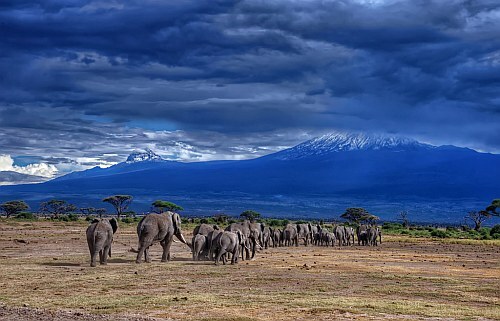 KLM has dropped the price of their flights from Vancouver to Kilimanjaro, Tanzania down to $1074 CAD roundtrip including taxes. This is 38% below the typical best prices from Vancouver to Kilimanjaro. The flights have 2 stops each way, in Amsterdam and Dar Es Salaam, Tanzania. You can also turn these into a 2-in-1 trip and visit both Amsterdam, Netherlands *and* Kilimanjaro, Tanzania and keep the price about the same. - you can try clicking through from Google Flights to the KLM website or the Delta website. 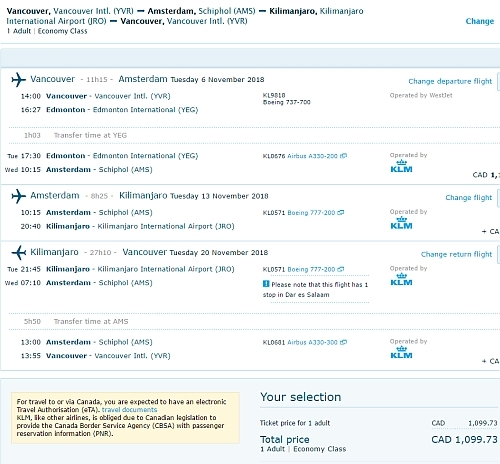 vancouver, yvr, flight deals, klm, africa, east africa, tanzania, kilimanjaro and jro.